Swallowtails are named for the ‘tails’ which extend from their hind wings but not all Swallowtails have tails: Ulysses and Fuscous do, while others have mere tokenistic points instead of proper tails and the Chequered, Clearwing, Dainty and the Cairns Birdwing manage without any at all. On the other hand, many non-Swallowtails, especially Blues, do have tails. What, then, are we to make of this handsome butterfly, with its 85mm wingspan and not one but two tails on each hind wing? It is the Tailed Emperor, Polyura sempronius, one of the largest Nymphs in the Townsville region. Only the Monarch (not a native, although long naturalised) and the female Varied Eggfly are as big. It is not widespread, and not particularly common even where it is found. In fact, the only place I’m sure I have seen it is on the top of Castle Hill, where I took this photo in early March. On that occasion I walked up from the carpark to the viewing point overlooking the harbour and Cleveland Bay but was stopped on the way by a cloud of very actively hilltopping Glasswings (Acraea andromacha). I don’t know whether the half-dozen Tailed Emperors amongst them were also hilltopping or just caught up in the melee. Hilltopping? Some species of butterfly have a habit of congregating on hilltops to meet, and compete for, mates. Males perch or patrol endlessly, asserting their fitness and desirability by controlling the highest zone they can; females approach them, mate, and leave to lay eggs on food plants which may be some distance away. 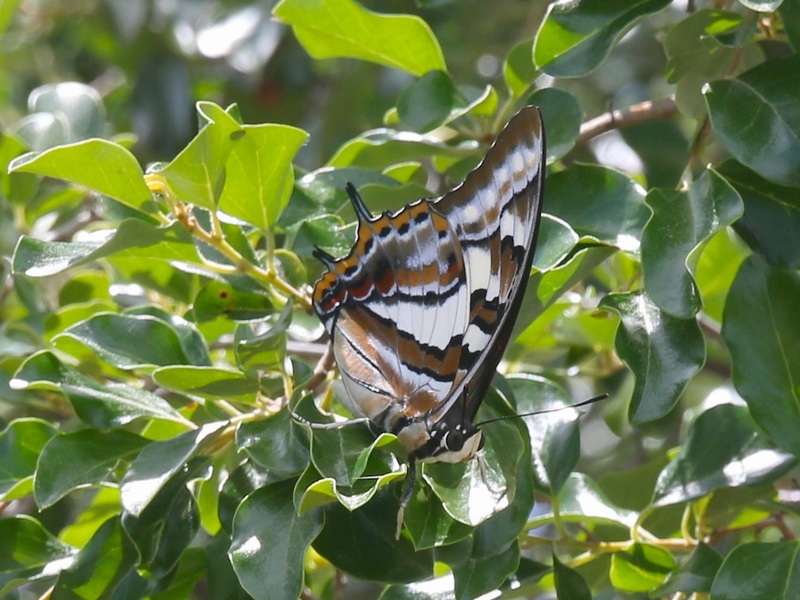 None of the Glasswings settled for a photo so I will include an older one, from Magnetic Island. 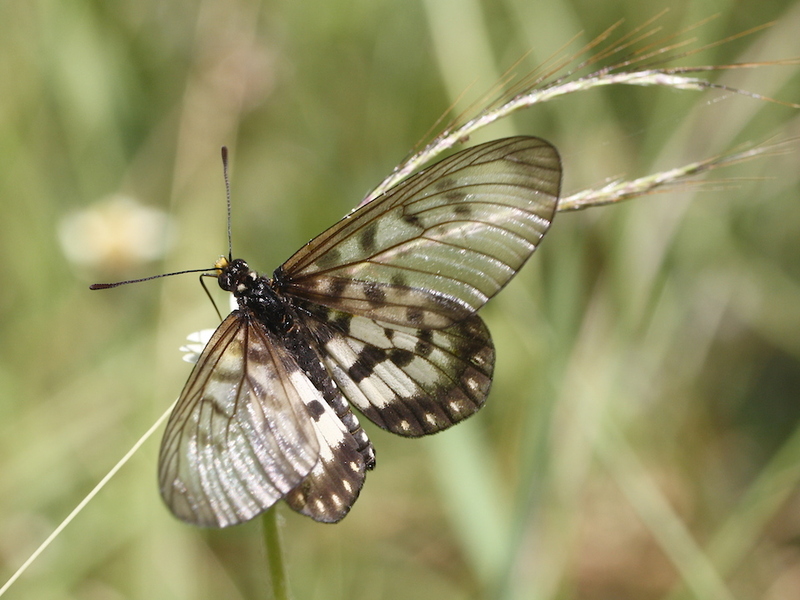 To bring my little ramble full circle, the Glasswing is a medium-sized Nymph at 53-55mm but has a larger lookalike amongst the Swallowtails, the Clearwing Swallowtail (Cressida cressida, 70-80mm). 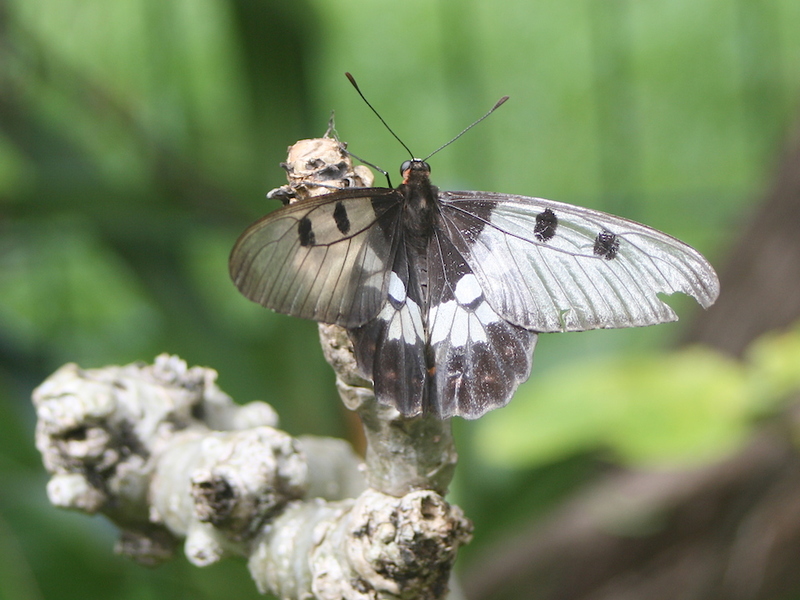 Both species have translucent forewings and black-and-white hindwings. Alternate common names for the two of them are unflattering but do reflect the similarity: they are known, respectively, as the Little Greasy and the Big Greasy. Coastal Dry Tropics Landcare Inc. (FB page), in April 2017.